Like lobsters, crabs have teeth in their stomachs and grow claws back if they lose them. Male crabs will grow one larger claw not for defense or attacks, but to impress female crabs. The crab's underside is called the apron and is a moveable flap. The male's apron is shaped like the Washington monument and the mature female's looks like the Capitol building. (This information is included on a decorative tag with each pillow). 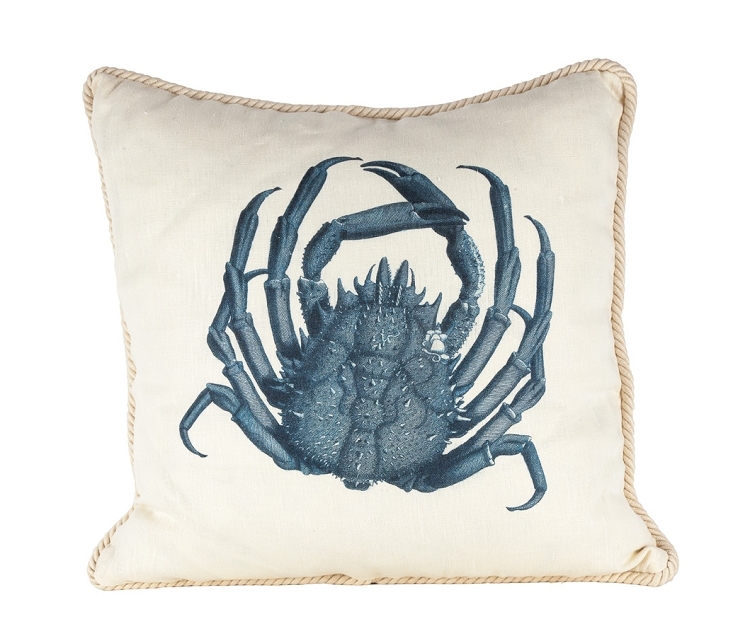 This pillow is designed and crafted in Fall River, Massachusetts. Dimensions are 20" square. 100% linen. Available in rope or knife edge border. Made to order. Please allow two to three weeks.